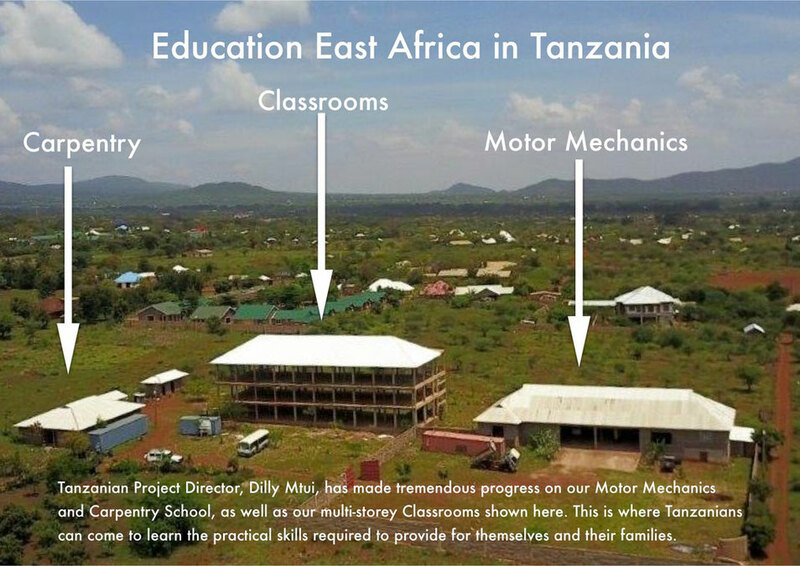 We built a vocational centre which is principally a Motor Mechanics Training School. This is an expanding area of employment as more new vehicles enter the country, and the old ones keep going. 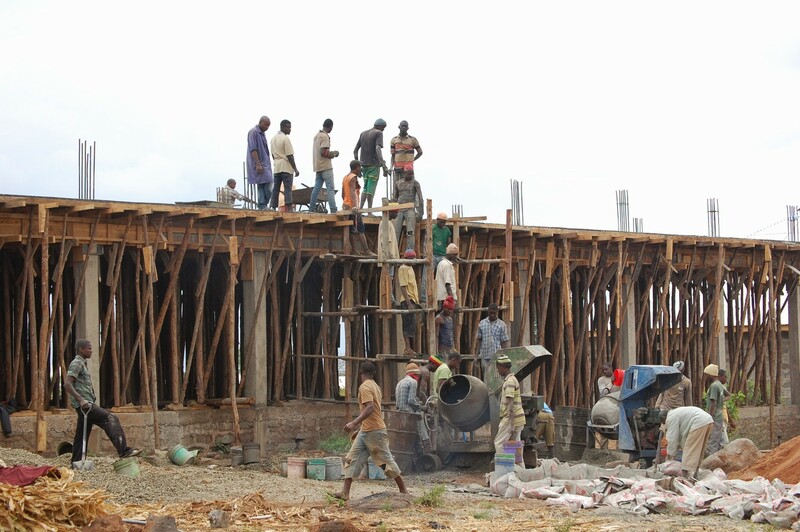 There is a motor mechanics workshop, a carpentry workshop, a store, and night-watchman’s accommodation. There is plenty of space for workshops for welding, electrics, paint-spraying, body work, etc. We are completing a storied-block of classrooms and office. Entrepreneurial-minded instructors will be encouraged to share their expertise here. 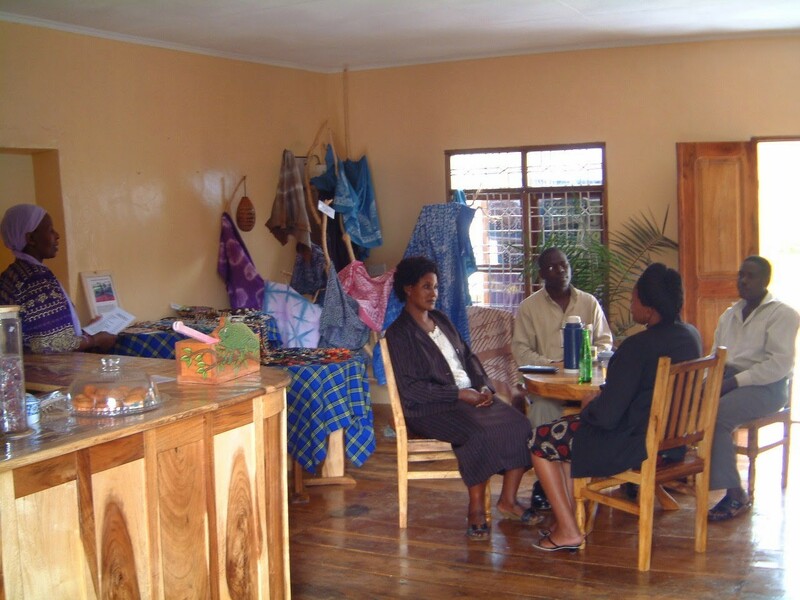 We are located on the main road from Himo to Moshi, giving teachers and students easy access to bus service. 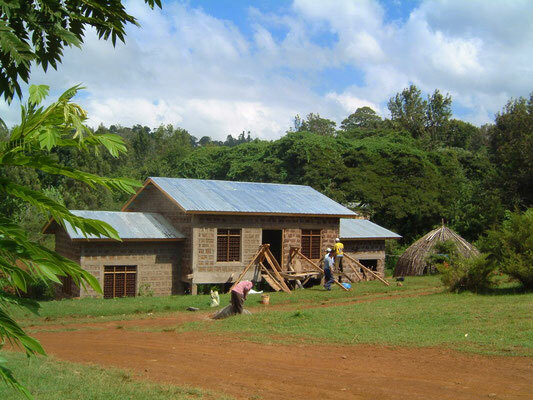 There is plenty of space for a small-holding where the students can grow maize, red kidney beans and vegetables for their own consumption as well as for sale. We have also dug and built nine water storage wells. 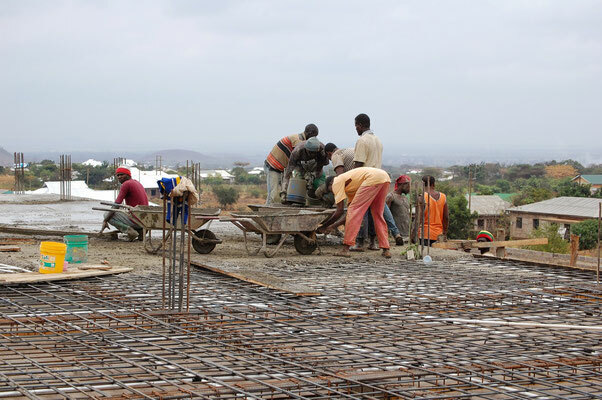 Increasingly, vocational training is seen as the most viable option for combating unemployment. 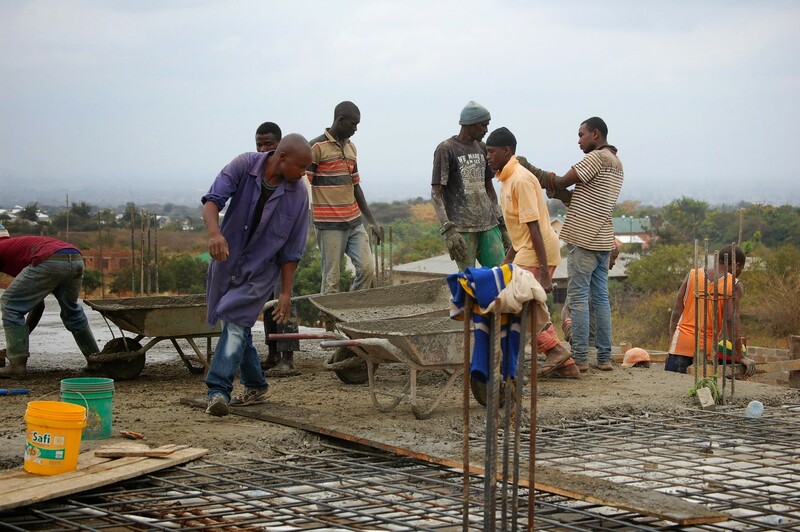 We have recognized this since 1998, when we started our vocational training in Tanzania. When we were getting started with our schools, villagers often lamented that after primary school (at age 14) many pupils had nowhere to go. And they were absolutely right, so we decided to do something about it. We ran our own vocational training school for some sixteen years, helping young people gain marketable skills in masonry, carpentry, tailoring and handicraft work. 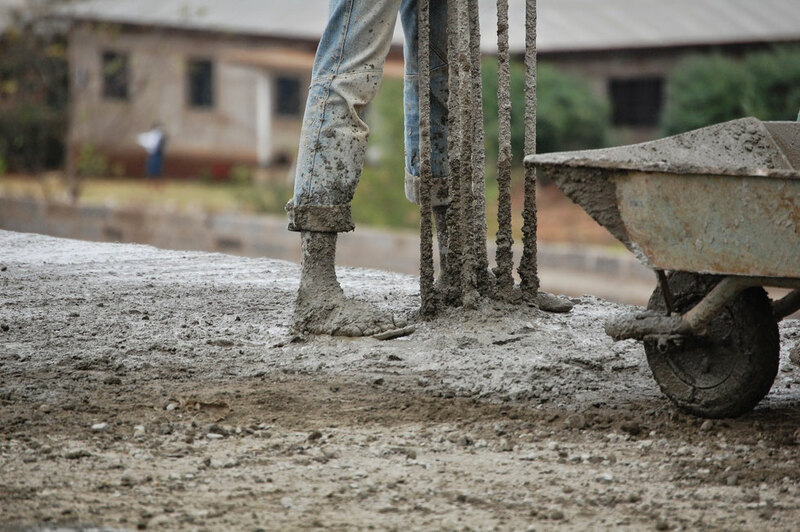 Many graduates are now running their own small businesses, while others are gainfully employed by construction companies. Gisella, shown on the left, is one of our many success stories. She mastered our tailoring and craft course and now works in the Village Crafts Shop with Mama Mlay. She makes about a third of the goods sold here. 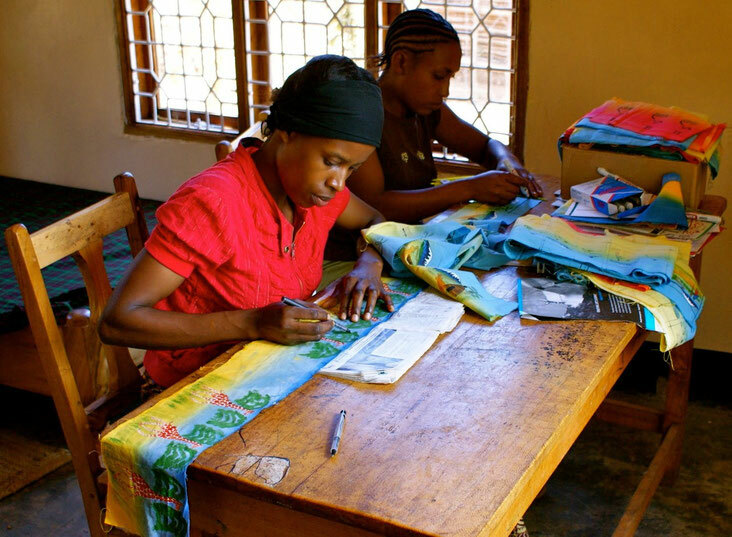 Her beautiful handmade jewellery, greetings cards, aprons and tote bags earn her a living wage in Tanzania. 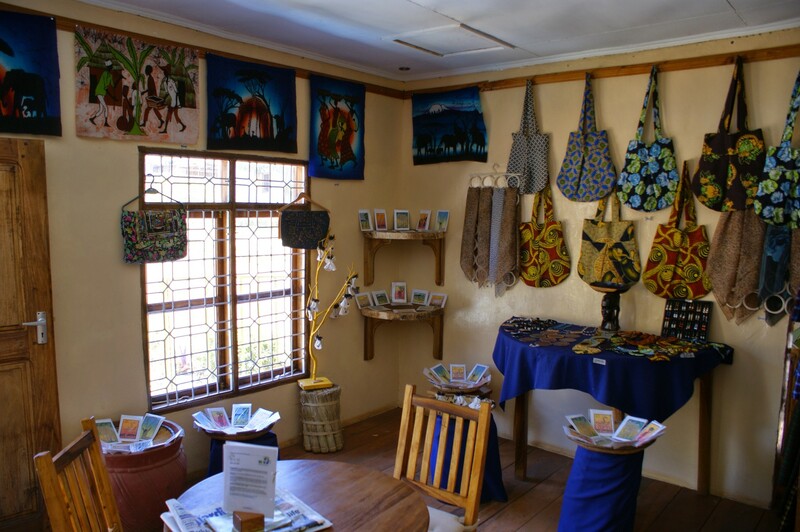 The Village Crafts Shop is a popular café and crafts centre at Marangu Mtoni. It is the only place local people can come to relax in a peaceful, alcohol-free environment. The veranda overlooks banana and coffee trees, with a tranquil stream running between them. Meetings, both formal and informal, are often held here. It has become a true hub for the community.